Reciprocal links always welcome! Here are some buttons you can use to link to Bridlepath; please either download them to your own server, or use the PhotoBucket links provided. Go to your dashboard > Blogroll > Add Link. You can enter a description in (surprise!) the Description field–this will be visible when your mouse hovers over the link. Go to Advanced–you may need to click on the + sign to expand it. Enter the link for the image in the Image Address field. Enter notes and a rating if you like. Click Add Link to finish. Go to your dashboard > Template > Edit Current. Scroll down until you get to the links section. Enter the link (http://bridlepath.com) and insert the image link as well. You can copy & paste what I’ve done here–but just use one! You probably won’t want to use this one, as it’s a bit big for most blogs; use it on a regular webpage instead, if you like. Click Preview to see if you like it, and if you do, then click Save Template Changes. Most people use Google when they’re looking something. Want to know how to improve your hits? Google uses a proprietary search algorithm which determines the best results in part by how many OTHER sites link to a page. Thus, if you’re looking for “quarter horse“, the AQHA home page shows up as the first result partly because it’s the Quarter Horse site with the most links to it. Granted, this is a HUGELY simplified explanation of how Google works, but hopefully you get the idea. 🙂 You can read more here if you really want to. Anyway, the more people link to you, the more traffic you’ll get. You can use a free service like Submit Express to make sure your blog gets into the major search engines, but there are other options as well. When you update your site, send a ping to let others know. Good places to do it: Technorati, Pingates, Ping-o-matic, BlogFlux. This page from Robin Good has a CRAZY number of places to submit your blog and increase traffic. Like him, I also recommend going to Technorati and claiming your blog with them. Mark certain blogs as favourites and encourage the authors of those sites to add you as well. Globe of Blogs has gotten me a few hits as well, as have BlogFlux and Blog Top Sites. Bloggeries is an excellent site as well. If you’d like to make your own 80×15 buttons, go to http://button.blogflux.com. Check out these tips on How NOT To Be A Successful Blogger and Pimp My Blog. Join reddit (forget Digg; it’s full of arseholes and cliques) and submit your original posts (i.e. written by you). Vote up your friend’s posts and encourage them to vote up yours. Participate in blog carnivals! Social networking is definitely the way to go. I was wondering if it would be possible to link our blog to you. Called ‘The Zephyr Files’ it is narrated (with beautiful photographs) by a ‘pretentious’ baby foal with a phoney french accent. It follows the growth of Lord LubbaDuck – known as Zephyr to his friends, through a year of his life. My name is Khris and Im the secretary of Southern Cross Rodeo Circuit (Victoria). I am writing to ask for a link swap with your site as we have had a lot of success with ours and thought sharing with you would be a great idea. Hi I’d like to a link swap with you. Thanks for all the helpful tips about pinging, sploggin, Google searches, claiming, etc. Hi – it was a nice surprise to see you are linking to us. Thank you! I put a link to you on my site. Tried to follow your instructions but blogger wouldn’t let me put the image link. I’m thinking you did these instructions before they converted over to the new blogger. I do have your link added but not with one of your images. If you have an idea how I can accomplish this, please let me know. BTW great site! Thanks for the link, and for letting me know about the Blogger problem. I do in fact have a Blogger account, but it’s an old-style one, and if I log in under my Google account it doesn’t show my old blog. I’m going to futz around with this a bit and see if I can get in and figure out how the new Blogger works. I was trying to subscribe to your feed in My Yahoo and can’t figure out your feed URL and don’t see a syndicate button… though obviously you have a feed. Am I missing something? I have added a link to your site and wanted to see if I could get the same. Thanks for your comment on my blog about linking to me. I did add your blog, but not to my blog. I added it to my major horse site http://www.kingdomofhorses.com You can see your link on this page http://kingdomofhorses.com/links.html You have a GREAT blog! I have just started blogging and find it fun. I am still figuring out how to add a live feed of your blog to one of my web site pages so you will get more readers. I put a lot of time and work into Bridlepath, without getting a penny from it. No ads; WordPress.com doesn’t allow them, and I wouldn’t include them if they did. I’m a relationship blogger focused on taking the time required to build a loyal blogging community. So far this has been fruitful; as I write this, Bridlepath’s Technorati rank is 64,610 (183 links from 57 blogs). I’m very proud of those numbers. I provide attributions to all my sources wherever possible, as that is the correct procedure ethically and legally. I want this to be a site people can trust because they know I’m not trying to make a buck from it. I’m sure you wouldn’t want to see someone else reaping the benefits of your time and effort, and while I’m certain you didn’t mean to imply that this was the case, I thought it only fair to let you know why I’m against this practice. That is what is being done with “All the Critters” right now. It is showing up on other sites as a news feed. I don’t mind it since my blog stats are showing that people are coming from those sites to read the rest of my blog. Thanks for letting me know your opinion. I will leave your link on my site – as I do think your blog is fansastic, but will NOT do a feed. What a beautiful blog. Really well put together. You must spend A LOT of time on it. I have linked to your blog from mine, although not using one of your special buttons, so I hope that is OK. Please check out my blog http://scaryswest.blogspot.com. If you like it, please link. If not, that’s OK. I still love yours. Thanks, and yes it is a bit of a timesuck a labour of love. 😉 I’m glad you enjoy it, and I’ll add you to the blogroll. Technorati rank is creeping upwards; thanks to everyone who’s linked to Bridlepath! Would love to swap links with you. What do you say? I’ll pop you on mine tonight. Thank you; that’d be great! My webmaster tells me that reciprocal links don’t do much/anything to lift your search engine rankings and to find people that will link with me on a one way link. But I’ve been trying to figure out why someone would want to do that? Anyway, I’ve had a few ideas. Maybe if they loved my new book so much they might be prepared to publish a really good blog/article (I’m very new at this!) that gives their readers some really good, totally new information and ionclude a link in that article? Thus, here’s an offer. I’ll give you a free download of my new electronic book “Bobby’s Diaries – Straight from the Horse’s Mouth to You” and if you love it, (no obligation at all!) I’ll do an article/blog for you that will change your readers and their horses lives forever. It’s revolutionary, different and left field – it will intrigue you, maybe even challenge you, but I promise it will not disappoint you and sure as heck won’t bore you! In fact, I give a money back guarantee against disappointment. What do you think? And please tell me if you think that I could go about this in a better or more effective way. I’d like to link to you, too! The buttons aren’t active for me, though (firefox, mac). Yourhorsesports is an interactive web community, and we’re trying to build some traffic–and some bloggers! We’re focused on sports–equine athletes and their people. Thanks, like your site very much. I do 99.9% of my blogging on a Mac with Camino. 😉 The buttons shown above aren’t actively linked, but the instructions are there if you need to use them. I’d love to swap links! also may i ask, where did you get your little image its lovely and i’d like one for my blog? Your blog is very well done and informative. We have placed a link to your site at: http://equineu.podbean.com/blogs-podcasts-we-recommend/. Our mission is to bring awareness of safety issues to the equestrian facility by providing quality educational materials through our website and podcasts. EquineU.com, a division Action Safety Education, is dedicated to bringing horse owners and equine professionals up-to-date and useful information regarding the health and safety of their animals. We have a podcast & blog that you may access from our home page at http://www.equineU.com. Our goal is to raise awareness of their efforts, encourage volunteer involvement and help them raise money for their group. Thanks Nan! What a fascinating site. I have added you as well. Horse Transport MoveMyHorse.com is your source for horse transport quotes in the USA and Canada. We also offer stable listings and horses for sale if you would like to include us in categories for those, too! Our site has a links page at http://www.movemyhorse.com/links.php where we have added your site already. You’ve got a great site here – wish I’d found it early. Definitely subscribed to the RSS! Hi all! I’ve updated the blogroll and I think I’ve got everyone covered (if not please let me know). According to Technorati, Bridlepath now has Authority: 94 · Rank: 48,441. Not bad for just under a year of blogging! 😉 Thanks everyone! We have added a link to your Blog on our site, and were hoping that you’d be happy to do the same. We have added your banner and link to your site on our ‘CHAT’ page. Triple R Horse Welfare Syndicate Inc. Thanks, Rebecca! I’ve added you to my blogroll. Thank you for all the good work you do on behalf of horses. Current Bridlepath stats from Technorati! Hello, I really enjoy your blog. Thanks for coming back! Please let me know if you like it, and if not, what I could do to improve it. Thanks for your time and effort, you really brighten a lot of people’s days! I have just started my own blog on showjumping which is my passion. I have placed a link to your site in my blogroll…I hope this is ok?! It would be great if you could also link back to me! Hi Samoboe — I love your blog — you are my blogging role model as well. Just getting started with blogging — my new horse riding passion is causing me to do things I would not have been bold enough to do in the past. I have included a link to you – Bridlepath is listed under favorite blogs, but was not able to figure out how to include the lovely logo image and would like to include that as well. I would love to be listed under your horse blogs. Hope you have moment to check out my site (www.ridingbetweenheavenandearth.blogspot.com). Would like to migrate everything over to WordPress in the near future. BTW, does your screen name have anything to do with the oboe? I am a “lapsed professional oboe player.” I also put you on my friends list in Stumble Upon. Thanks for the inspiration, best wishes — Debra (mayasway). Great blog. Could we set up a reciprical link?? My website is totally new – my audience at this point mainly youth due to the funny/cute horse videos. We now have a request out there to youth to send in their horse stories – fiction or non fiction, some videos of their horses and other fun stuff. I’ve still got a lot of work yet to do on the site. Back to the blogs – I find youth more receptive to reading blogs rather than straight educational content about horses. Blogs I think are less formal and just more fun to read – the educational info just kind of sneaks up on them without them even knowing. I’m interested in reciprical links from other horse bloggers as well as horse stories – fiction and non fiction, and quality horse content. I love this site..very informative. We have just started blogging and placed a link to this blog in my blogroll. Would you link back to me? We have a very new site so if anyone with a horsey site would like to share links let us know. Taj Mahal India Taj Mahal is the beautiful architecture of Love Story in India. Experience historic glory of India, visit Taj Mahal and other monuments. Gotravel offers best packages for your travel. Here is another website for pictures of Sable Island horses. Please may I include the Bridlepath website and possible address to go in my horse breeds book as a reference for the Brindle Horse? I am trying to use the Brindle and Striped Equine International as a reference for readers. The copy was done by J. Sharon Batteate and she is credited at the end of the Brindle chapter, but we need a registry to go along with the reference to Sharon. I would be glad to answer any questions you may have regarding this. Please contact me as soon as you can. We are doing proofing for final edits now. Thank you. 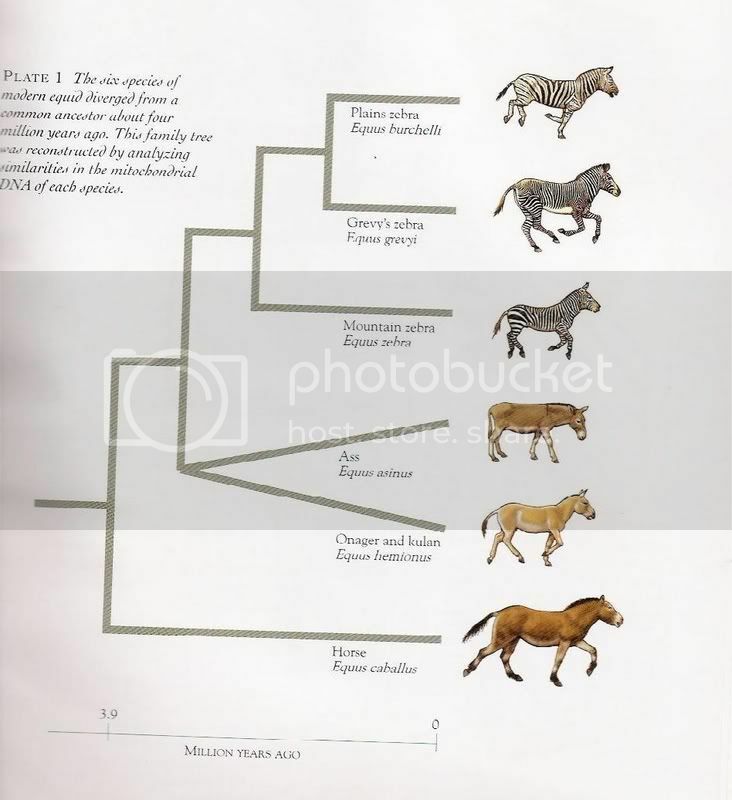 May I please use your website and possible address for a reference in my horse breeds book for the Brindle chapter, which is authored by J. Sharon Batteate? Sharon is given credit, but we need a registry as a reference for readers and to go with the chapter. I am trying to use the Brindle and Striped Equine International as the registry reference and don’t know how else to contact them. I would like to give you more information about this. Please contact me as soon as you can. We are doing final edits to the book copy now. I’ve just started a blog on horse trick training. I’ve taught all my horses to do tricks and it’s great fun! I am writing an ebook on the basics of trick training and I’m asking horse owners to let me know which tricks they would like to learn and I will include them. I’ve just put a link to your blog on mine. Could you please add my blog to yours? We would love to link with Bridlepath as we have a number of horse owners and horse lovers playing at Animal U and join our Equestrian Club among others. Want an educated equine? Send him to college! Animal U is a free online game and social destination where pet lovers have fun pretending to send real pets to virtual college. The game includes cartoon professors, silly classes, dorm rooms, shopping with virtual currency, contests, and socializing with a pet friendly community. WoW!!! I am speechless� you ROCK. I hope this goes far and wide, you deserve it. My english dosn´t good sorry , but i have e question . about then is it easier. I´m awaiting your answer. I would be delighted to. I love your blog and would like to swap blog links with you. I’ve just added Bridlepath (I hope successfully as I’m a bit of a newbie in the computer world) to my blog which is http://www.easyhorsecare.com . If you like my blog I’d appreciate you linking Bridlepath to my site. Please let me know!. Good to see such a high standard equestrian blog. I will add your site to my own horse and country directory. I welcome link swaps with any horse, equestrian or country life related blogs and sites. We are reaching out to the horse community for support of the documentary we are currently making. In return we can add you onto a supporters list. On June 1, 2012, we will be documenting a group of riders of Native American decent as well as non-native riders who have come together to honor Cheyenne Grandmother Margret’s vision to retrace the 1,391mile trail of the Cheyenne Exodus. During this 2-month ride from Fort Reno, Oklahoma to Lame Deer, Montana, they will bless scared sites and offer forgiveness to replace the sadness left by the multiple massacres of the Cheyenne people and the horses, which carried them on that journey home. Upon arriving in Lame Deer, at the site of the 13 Indigenous Grandmother’s Council, each rider will participate in the blessing and honoring of their horse, as an expression of gratitude and a rekindling of the scared fellowship between man and horse. In addition to this story, we intend our documentary to reveal the parallel between the injustices to Native Americans in the past and the removal and slaughter of the wild mustang from their lands, which is happening today. We are asking for your support by spreading the word through your current blogs, facebook pages and any other social medias. Supporting our documentary is acclaimed Native American filmmaker Chris Eyre; horse advocates Colin and Livia Firth and Academy Award winning Producers Maria Florio and Victoria Mudd.